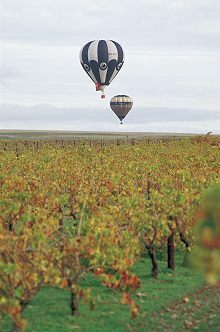 Left: Ballooning over Barossa Valley South Australia is the most central southern state of Australia. It boasts a total land area of 983,482 square kilometres (379,725 square miles), and is the fourth largest of Australia's six states and two mainland territories. 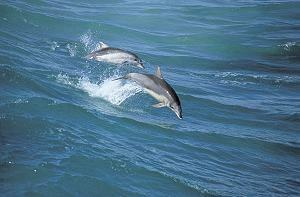 South Australia is known for its wine and seafood, and has 16 wine regions including the Barossa and the Clare Valley. 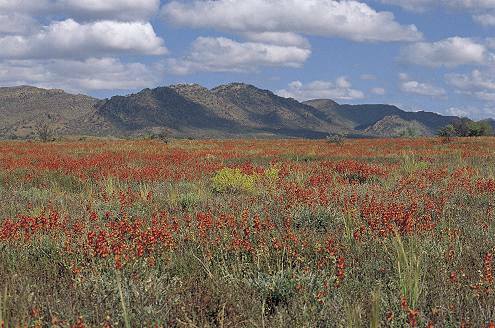 For tourists it has accessible outback areas including the Flinders Ranges. The capital city, Adelaide boasts restaurants, museums and the South Australian Art Gallery. For more about places to go and things to go, see www.southaustralia.com.